1743: Roller skates made their debut in a London stage performance. 1760: John Joseph Merlin was credited with creating the first roller skate. 1819: Mr. Petitbled patented the first roller skate design. Though this creation was impressive, these skates were not very maneuverable. 1857: The first public roller skating rinks were opened in London. 1863: James Plimpton improved on previous roller skating designs and created the quad skate. 1875: The sport of roller skating is born! England held its very first roller skating competition. 1876: The toe stop was created which roller skaters still use today. 1880’s: America experienced her first roller skate “boom” period. 1902: A public skating rink opened in Chicago. Over 7,000 people showed up for opening night! 1977: Roller skates appeared in a German DEFA movie called Die zertanzten Schuhe. (More roller skating movies have been made since then such as Whip It and Roll Bounce. 1980’s: Scott Olson created the company Rollerblade, Inc.
1983: Roller skating received incredible recognition when President Ronald Raegan declared October as National Roller Skating Month. 1993: Roller skating safety increased tremendously when Rollerblade, Inc. created Active Break Technology. Since 1993, more changes and developments have been made. But, one thing remains the same: people all over the world love roller skating! 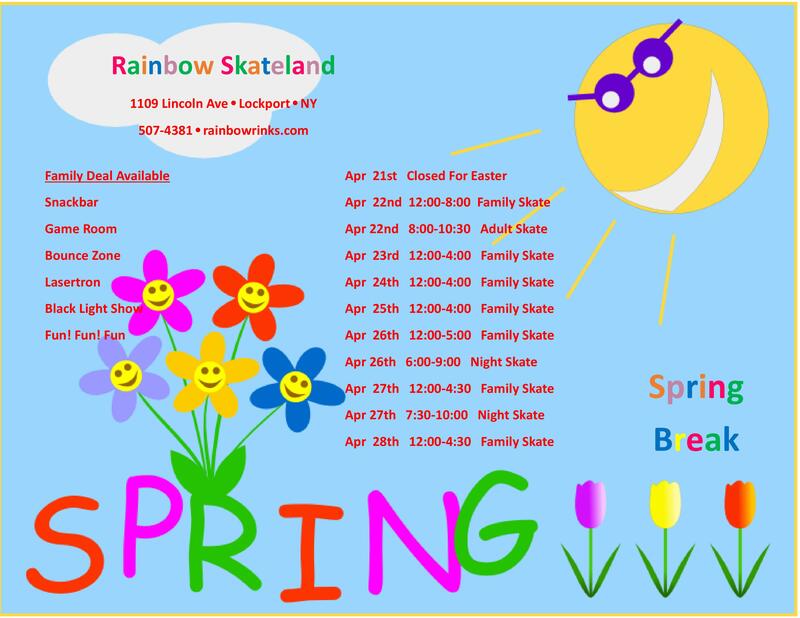 So, come to Rainbow Skateland today to get your skate on! Check out our hours here.